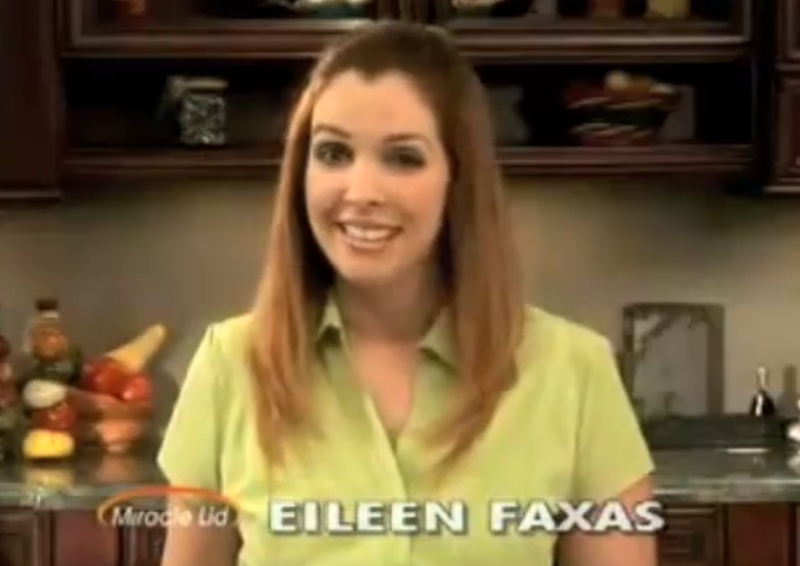 The casting directors for this Infomercial didn’t want to see me for an audition (the culprit: my glamorous red hair!) But my spunky agent sent me anyway, and I booked the job! And what a job! I got paid to crack jokes and eat. Well, also to hit the major talking points. But 98% of the half-hour infomercial is unscripted. No lie, the Miracle Lid worked. The food tasted great. I still think about the pasta dish with too much fondness…. The infomercial for the Miracle Lid is now airing, so if late one night you think you hear my voice talking to you, I may be! WARNING: The following video excerpt may cause hunger pangs.